Fairest Lord Jesus arranged for 5440 Big Band brass choir style. This is an instrumental feature that can also be used with congregational singing. There are 3 stanzas used with tag at the end that should be instrumental only. If you like, sing a fourth stanza a cappella at the end. This can show off the traditional chops of your band. This does not use any rhythm instruments, just the horns. Though one could add some suspended cymbals and winds chimes (ad lib). 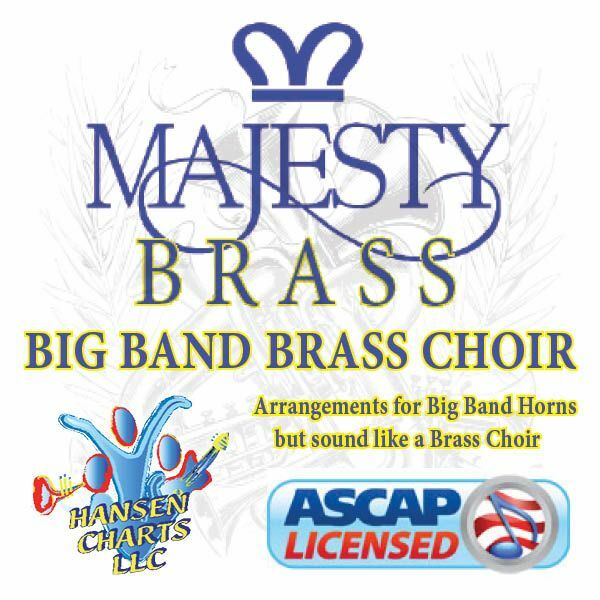 A Part of the HansenCharts BIG BAND BRASS CHOIR edition. A Collection of hymns arranged in a brass choir style but with a traditional Big Band instrumentation (5 saxes, 4 trumpets and 4 trombones sometimes with Tuba). Since Most have a classical style, these arrangements do not normally use bass or guitar and some arrangements will have piano and some percussion or drums. You can surely add bass (playing the Tuba or bass trombone part) and you could also add drums as needed. This unique voicing gives your band another way to express yourself musically. You’ll find most arrangements at the medium difficulty level. Many titles from this series are a variation on large brass choir (20pc) charts I have arranged for professional or community brass choirs. Ask about these charts.